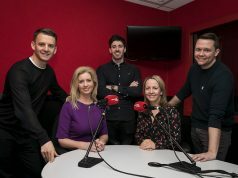 Wireless Group, which owns radio stations across Ireland and the UK, today announced the launch of UrbanMedia – a new media solutions provider representing Dublin’s FM104 and Q102, Cork’s 96fm and C103, Limerick’s Live 95fm, Galway Bay FM, WLR, LMFM and U105 in Belfast. UrbanMedia is wholly owned by Wireless Group plc and will represent their media assets in Ireland, along with partner radio stations Galway Bay FM and WLR – providing integrated marketing solutions across three key areas, OnAir, OnLine and OnStreet in the major urban centres of Ireland. UrbanMedia is based in Dublin and has increased its workforce by 33% to help deliver on the company’s new offering. It also offers the scale of a large national audience, but the audience is targeted in the key urban centres – helping clients deliver targeted campaigns. Formally UTV Radio Solutions, the company has been responsible for winning radio and media awards in areas such as collaboration, research and sales.